eHealth Technologies, the leading provider of clinically informed referral solutions, announced today that University of Virginia (UVA) Health System has expanded the eHealth Connect® Intelligent Health Record Aggregation platform services to help deliver timely clinically-organized out-of-network patient records for the Emily Couric Clinical Cancer Center. 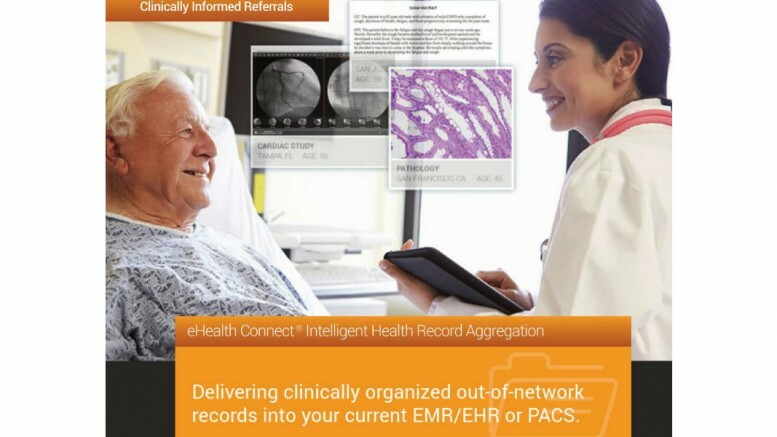 The eHealth Connect® Intelligent Health Record Aggregation platform fills a major gap in healthcare by gathering all the health information needed for patients that are referred for specialty care and delivering a complete, organized medical record to the referred clinician. At UVA, clinicians will have access to an indexed medical record prior to their patient’s visit with important clinical information. The platform will also help UVA remove the burden of medical record collection from clinical staff, patients and their caregivers. eHealth Technologies helps over 17,000 patients per month receive higher quality and faster specialty care at leading facilities like UVA. The eHealth Connect platform enables Health Systems to further ease the transition of care for the patient and arms the clinicians with necessary clinical information when it is needed.